There is a slumbering subterranean fire in nature which never goes out, and which no cold can chill. […] This subterranean fire has its altar in each man’s breast, for in the coldest day, and on the bleakest hill, the traveler cherishes a warmer fire within the folds of his cloak than is kindled on any hearth. – Henry David Thoreau, A Winter Walk, The Dial, October, 1843. In the midst of the massive complex of goods, technology, clothing and equipment that comprises the most recent Outdoor Retailer Summer Market, the issues and questions of sustainability, traceability, environmental conservation, accessibility and climate change are on everybody’s minds even if they are not immediately apparent or prominent. The mood and atmosphere at the venue in the Calvin L. Rampton Salt Palace Convention Center in downtown Salt Lake City prove that the show has not been merely a driver of economic impact but also of new cultural perspectives emphasizing the values and experiences of outdoor recreation in a contemporary time where volatility takes pernicious advantage of complacency or fear to act decisively. For Allied Feather and Down, a family owned business based in California that supplied more than 2.6 million pounds of responsibly sourced down insulation and fill last year to many of the best-known brands in outdoor recreation apparel and equipment, the whole spectrum of these issues has lifted this entrepreneurial enterprise to a more than admirable position of corporate conscience and responsibility. Courageous enough to take game-changing action and to confront respectfully its most ardent and aggressive critics and skeptics, Allied encompasses a passion that sears precisely like the Thoreau metaphor of a subterranean fire. 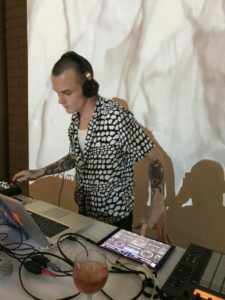 To mark its 30th anniversary, Allied used the occasion of this week’s Outdoor Retailer show to present a multimedia Aspects and Ascents exhibition event at the Utah Museum of Contemporary Art (UMOCA). 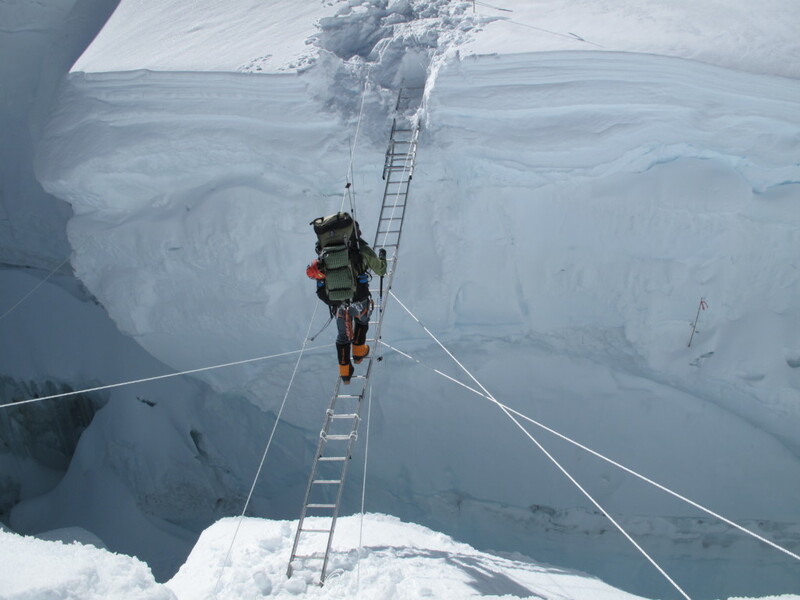 While the event highlighted the company’s achievements and advancements over the last three decades, it also signaled Allied’s larger cultural initiative celebrating the ideals and experiences of recreation, adventure and exploration in colder climes and winter environments against a time of formidable shifts in nature and climate. Perhaps the best description is represented in its newest social media tag #coldculture. As an ingredient manufacturer, Allied, for much of its existence, understandably had not been a household name. However, in the industry, the company long has commanded more than a good share of respect from numerous stakeholders. 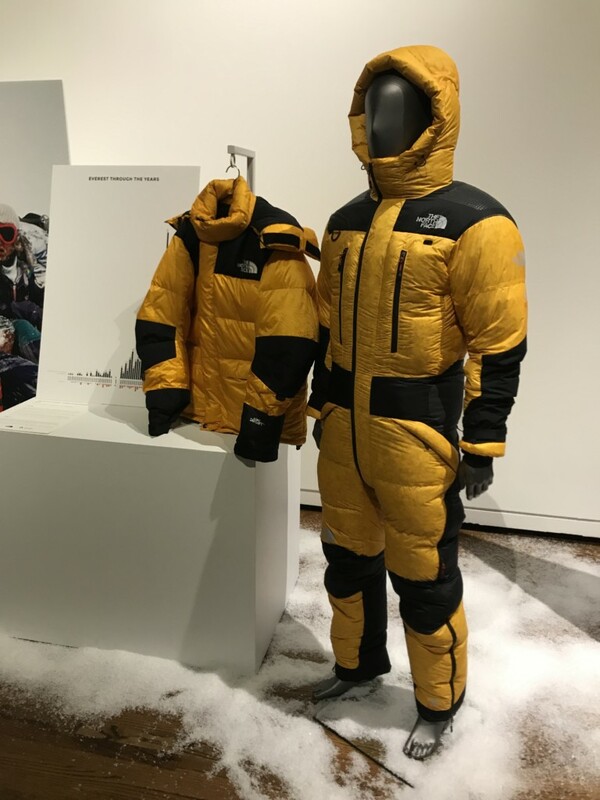 Its partners include the best-known apparel brands in the country and the world: North Face, Peak Performance, Arc’Teryx, Patagonia, Stio, Eddie Bauer, Lands’ End, Feathered Friends, MtnLogic, and numerous others. 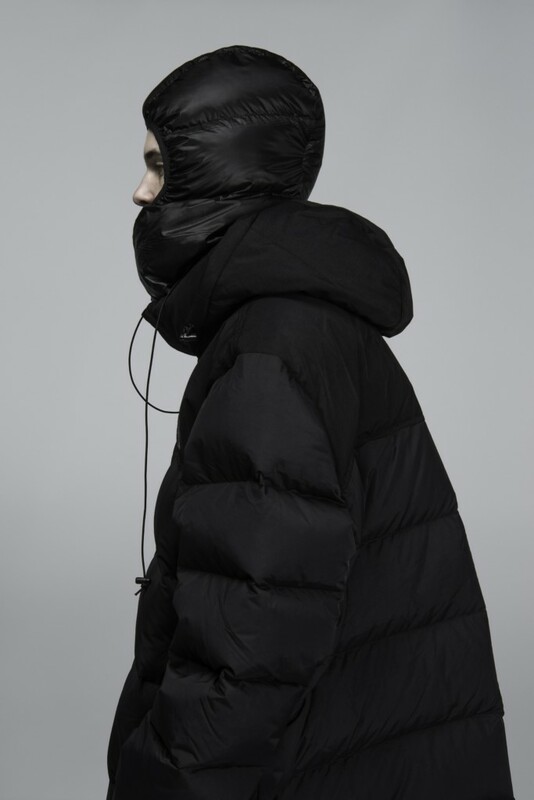 However, Allied’s profile also has become ever more prominent for its exemplary leadership in reconciling the concerns and giving assurances to its partners, customers, critics, skeptics and others that the down and feather used in insulating jackets and other apparel and equipment is sourced responsibly. Certainly in the last decade, did the question of, as Betcher explains, “it’s what’s inside that counts” become more urgent as the voices of critics and skeptics grew louder. One of the world’s oldest forms of insulation for bedding and apparel, duck and geese down and feathers once were reserved for royal and noble classes for most of the duration of human civilization. As the outdoor apparel industry grew exponentially in the 20th century, the network of suppliers and traders for animal down still resembled what it had been for centuries. Allied set out to change the supplier chain structure. “When my dad [Steve] founded the company, he decided to work closely with farms and others, instead of brokers who were high risk or had knowingly engaged in questionable practices. He wanted to ensure the quality and its traceability would be as ethical and responsible throughout the entire supply chain,” Daniel Uretsky, president of the company, says. These efforts involved veterinarians and other groups to audit the supply chain, as Uretsky worked with his father as well as his brother Jonathan, who is vice president of operations. When Uretsky, a graduate of Georgetown University’s Law School, returned to the family business in 2010 after working four years as a litigator, numerous animal rights groups had already orchestrated high-profile protests against many outdoor apparel industry leaders, including Allied. While many other companies might have reacted antagonistically to the protests, Uretsky saw no value to be redeemed in taking a defensive, tight-lipped posture. His father had been a pioneer, deciding to work directly with the sources (many of whom were family-owned farms) as opposed to middlemen who might not have been committed to the same expectations about transparency and accountability. “We knew that not all down was created equal,” Uretsky says. “But, we also knew that we could not shy away from having an open dialogue.” By virtue of its role as a major supplier of down and feather insulation, Allied led efforts with The North Face and Textile Exchange to help draft the Responsible Down Standard (RDS) and Traceable Down Standard (TDS), among the most extensive and rigorous in the textile industry. By the time the standard had been implemented fully in 2016, Allied said that it supplied enough certified down last year to fill the entire space of the Empire State Building. Standing Rock. Photo: Ian Morrison. Allied’s efforts have been validated. Earlier this year, Four Paws International singled out the company for its sincere commitment to animal welfare concerns. Allied became the first major down supplier to sell exclusively down that has been audited and certified as free from any cruelty practices such as live feather plucking and force feeding of geese and ducks. But, Allied’s efforts on that front continue to expand, as consumers become more conscientious about the ethics and the responsible production values underlying the products they purchase. “We wanted to see what could be accomplished in being able to respond to the question of ‘What if your down could talk back to you?’,” Betcher explains. 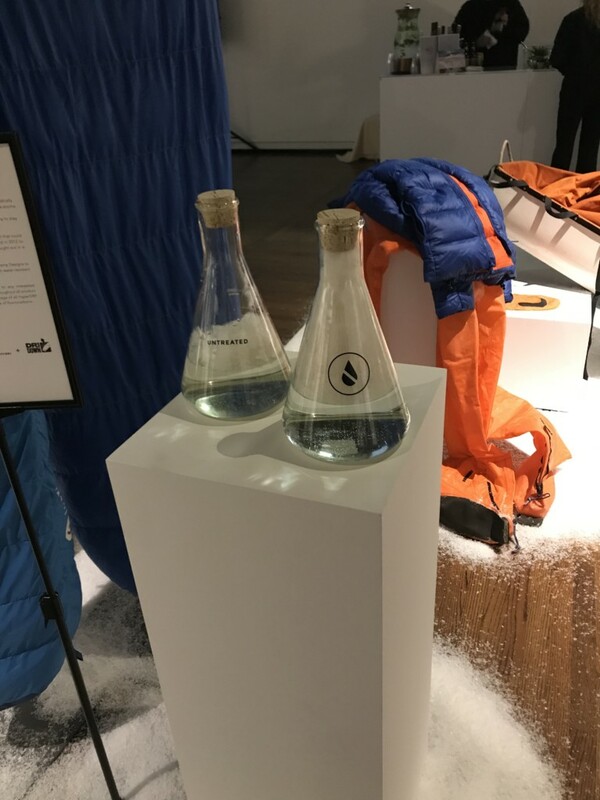 One of the exhibits at UMOCA highlighted Optix technology, in which a simple handheld point of sale tool can read every down-filled piece of clothing, sleeping bag or pillow to inform and assure the consumer that the material is, indeed, accurate and authentic according to responsible animal-welfare standards. It is precisely this type of device that will be critical for companies such as Allied to use technology and satisfy the demands of consumers who want more comprehensive and cognitive retail experiences, as they make their purchases for products that match quality with standards for sustainability and traceability. Product integrity also has been emphasized on other fronts. Acknowledging the probabilities of more intense storms occurring in volatile climate change, for example, Allied also worked with Sierra Designs to improve down’s water resistant features, including DriDown, a fluorocarbon-free down, as well as its own HyperDry feature, also fluorocarbon free, which is being offered to its product partners. Allied is donating part of its sales proceeds from HyperDry to projects dealing with the conservation of waterways. 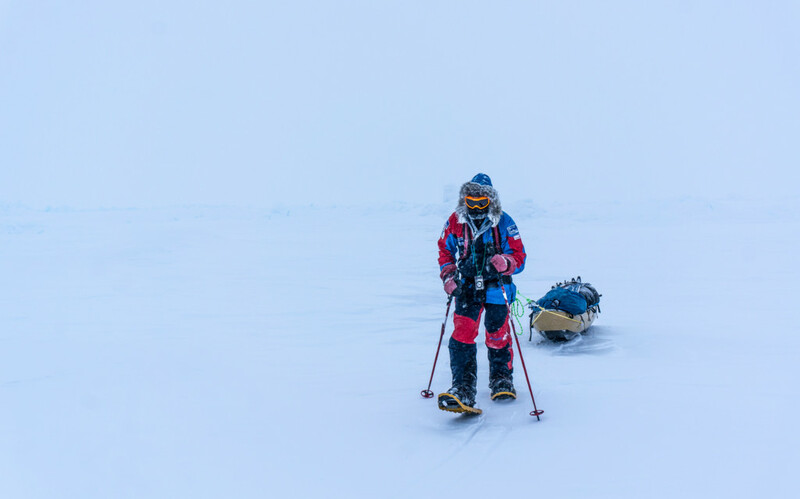 Last North Expedition, Eric Larsen. Most significantly, at the core of Allied’s evolution that comes with continuous improvement in product, process and standard, there is that unmistakable sense of Thoreau’s subterranean fire in its corporate culture and its branding. 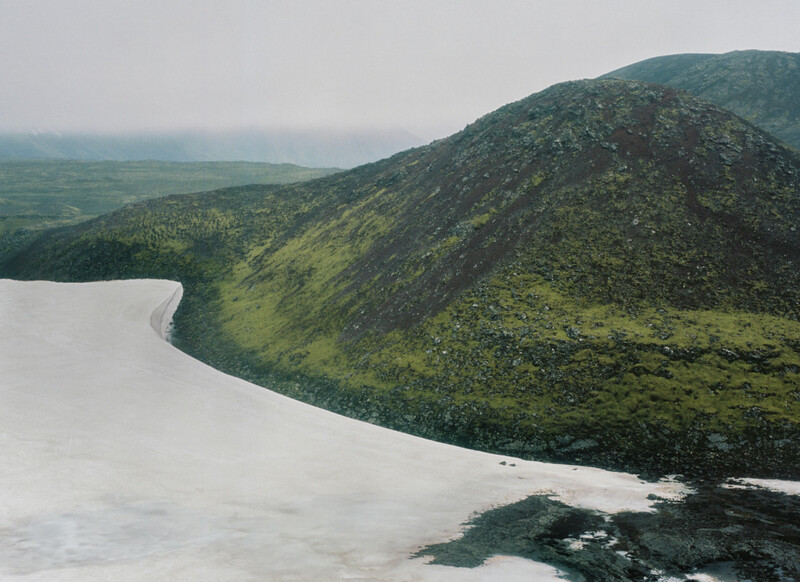 The cold, wintry landscape and vistas were never intended to be translated as forbidding, humiliating or despairing cultural metaphors. Allied’s embrace of the hashtag #coldculture is invigorating, bracing and uplifting — physically, mentally and spiritually. It also is intended to open paths to new audiences who previously might not have considered investing their consumer dollars in apparel or recreation products that underscore the demands for sustainability and traceability. Allied’s renewed championing of ‘cold culture’ is enriched in history and empirical evidence. In the 1600s, during the period known as the Little Ice Age in Europe, many Dutch painters created realistic winter landscapes that were lively with skaters on frozen ponds, children playing hockey, and families enjoying rides in horse-drawn sleighs. Jack London’s The Call of The Wild (1903), about a kind outdoorsman who rescues a kidnapped dog on the frozen Alaskan territories during the Yukon gold rush, was a tremendous success. It was inspired by his experience of escaping to Alaska after being rejected more than 600 times by publishers during the first few years of his writing career. A 2013 study of families in northern Finland who make it a regular practice to sleep outdoors with their children in winter environments found that the experience strengthened family ties not just in terms of security but also in learning about their cultural identities and adapting to the normal conditions of a northern climate. Another study, published in a 2016 issue of the Journal of Environmental Education Research, focused on a two-week outdoor trek in the winter landscape sponsored by a Czech Republic vacation school. The results showed that participants, many who came from urban areas, expressed how the experience gave them a new natural sense of spirituality, not unlike what Thoreau described in his essay about a winter walk. Allied is setting many touchstones for the conversation that could take on many angles at a table conceivably longer than what would accommodate the largest, most diverse family at a holiday feast. Larsen, for example, has been one of several ambassadors for Allied. Others include Sandra Lahnsteiner, an Austrian freeskier; Joe Klementovich, a photographer who specializes in documenting challenging natural environments; Tobin Ziel, expert rock and alpine climber, and Karim Sahai, a nature photographer and cinema visual effects supervisor. Valdez Lake. Set of White Noise. 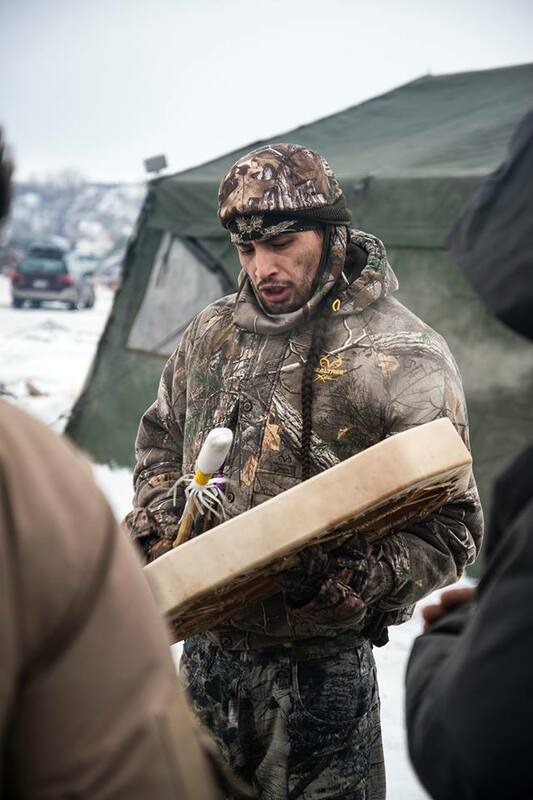 Last fall, as protesters settled in at the Standing Rock Indian Reservation to halt the Dakota Access Pipeline construction project, Allied donated down jackets and bedding to native tribal members. 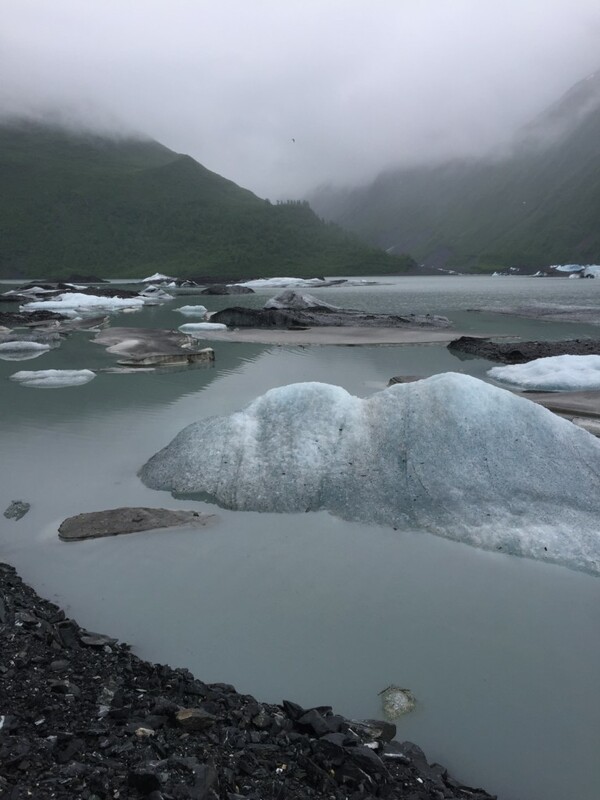 Christine Armbruster, a Salt Lake City photographer, went to Hoonah, the home of Tlingit Native Americans on the edge of Chichagof Island in southeast Alaska, to document how villagers are coping with significant climate changes while striving to preserve their language and culture. The Hoonah feature, for example, was part of the inaugural issue of Into The Cold, a magazine that amplifies the business and cultural partnerships central to Allied’s mission. The new publication testifies to how the company envisions not only an evolving consciousness about the outdoor recreation industry but also to the next generation of consumers who are unprecedentedly aware about their own place in nature and environment, especially with such profound changes in climate and the environment taking place. Guests at the UMOCA event also viewed a trailer for White Noise, a forthcoming documentary about Alaskan glaciers produced by Andrew Steiger and directed by Yudo Kurita, with sponsorship by Allied, Peak Performance and POW (Protect Our Winters). 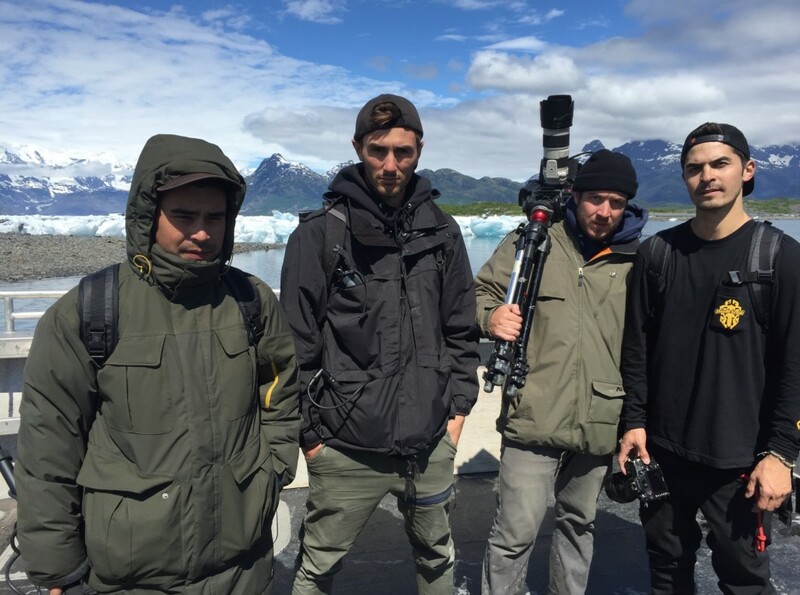 Featuring a sound score composed by Clinton Van Arman, the film project is intriguing for its abstract storytelling elements and for how Van Arman created the music as inspired by the sounds of the melting ice from the glaciers. As the teaser suggests, this might become the last visual and audio chronicle of an extraordinary isolated paradise in its full glory. Proceeds from the UMOCA event went to the Utah Avalanche Center as well as POW. 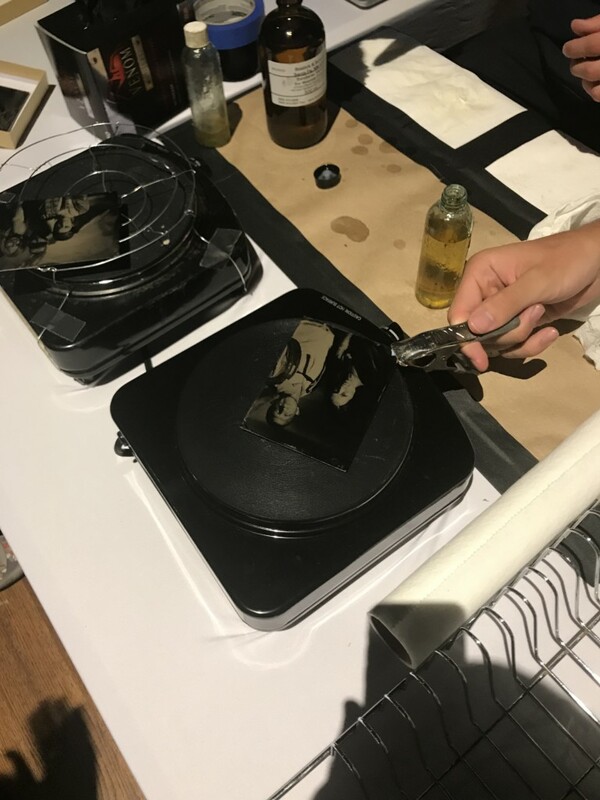 Many guests also took advantage of having their photos taken and produced in handmade tintype processes that recall 19th century style prints. Silver Still Image, a locally based enterprise, was sponsored by Mammut, an outdoor retailer that also is an Allied partner, with proceeds going to POW. Allied’s attention to Utah-based organizations and enterprises stands out as a sincere gesture of gratitude for local support and hospitality, as Salt Lake City hosts its last Outdoor Retailer show for at least the next five years. Allied was started in 1987 in a 12,000-square-foot facility near downtown Los Angeles. Today, it encompasses three facilities in the U.S., along with two in China and a processing facility in Vietnam and another to be starting in the Czech Republic, totaling more than one million square feet. It is now the outdoor industry’s largest supplier of down and feather fills.